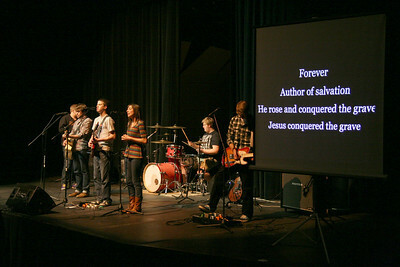 The Verge Band leads students in worship during the first service of the new year Tuesday night. 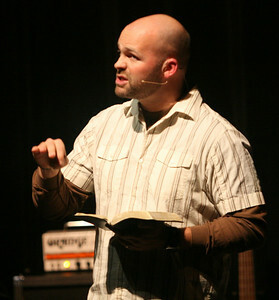 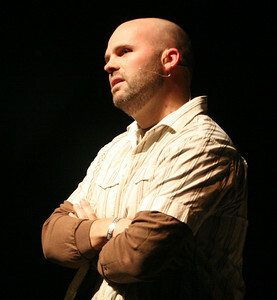 Clayton King of Crossroads Worldwide speaks to the students at the first Verge of the semester Tuesday night. 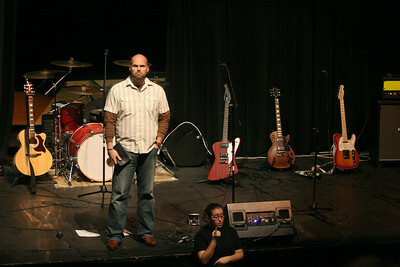 The Verge Band closes the first service of the year Tuesday night.